Gluten free liquorice for those who suffer from Coeliac disease. Our customers are often surprised to see we offer different varieties of gluten free liquorice. Many people believe that liquorice is just a distant, nostalgic memory of times before their gluten intolerance. I search far and wide to ensure we are able to offer a suitable selection for everybody and (currently) offer 15 varieties of gluten free liquorice, from regular black liquorice to more exotic flavours such as salted caramel, cherry and chilli, raspberry and lemon octopus. All the ingredients are listed online for each individual sweet. In the meantime, here’s a photo of some of the gluten free liquorice to get those taste buds tingling! If you need advice about Gluten free sweets, then call us to discuss what you’re looking for on – 01535 640303 or drop us an email. 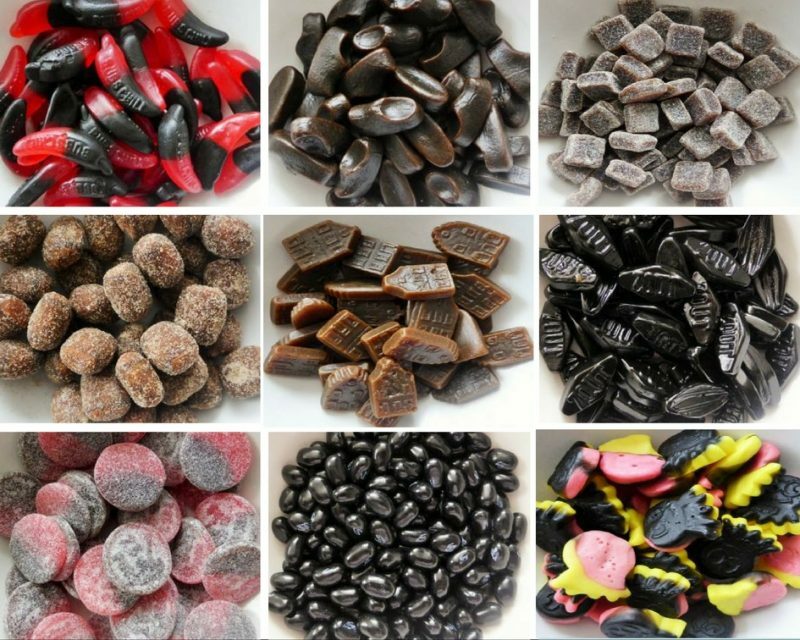 Gluten free liquorice: Cats, clogs, double salt, Belgian zout, hard coins, cherry & chilli, sour strawberry, raspberry & lemon octopus, ginger, salted caramel, Dutch houses, liquorice jelly belly beans, toupies, sugar free button, lions liquorice tablets. This entry was posted in Gluten Free Liquorice, Sweets for Coeliac's. Bookmark the permalink.